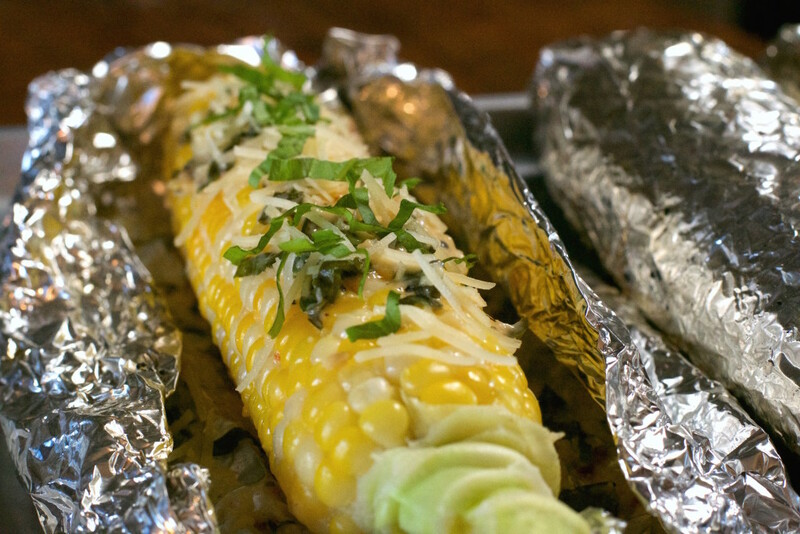 Italian Corn on the Cob - What the Forks for Dinner? 2. County Fairs are in full swing. 3. Parents are ready for school to start again! 4. And it’s Sweet Corn Time…………. Selmi’s. Selmi’s has a rich history rooted in agriculture and family. A family run business from day one with knowledge that has been passed down for generations. When it’s in season……like now…… yeah……they pick their famous bi-colored super sweet corn fresh daily. It is the bomb……. 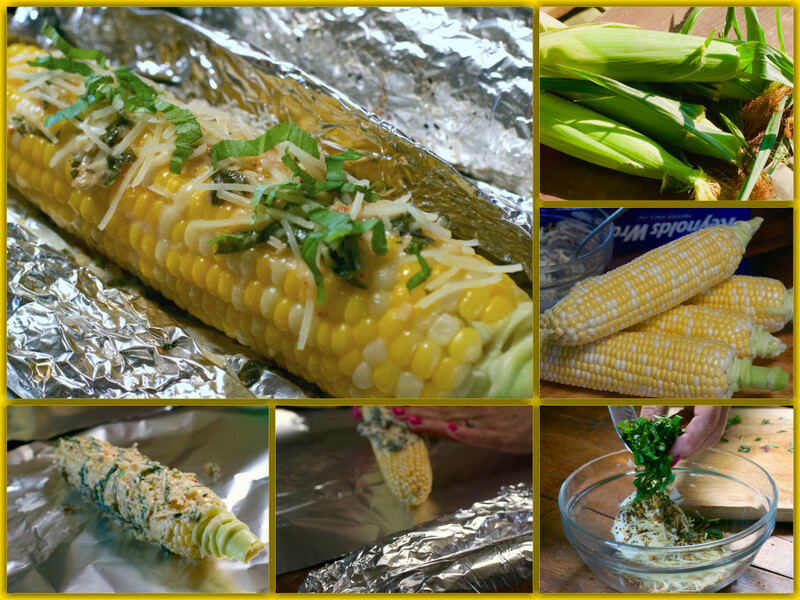 no words can describe how great this corn is, you just have to try it! My favorite way to partake of these juicy sweet ears of bliss is to bake them husks and all in a 350* oven for about 30 minutes. They turn out sweet, and tender. After baking, husking them is a breeze…..well, as long as you have pot holder or silicone glove to hold them with as they are hot, hot, hot……..but, all the silk comes off……..none left on the ear…..seriously! But, after today I think I may have an alternate fav……..Italian Corn on the Cob. It’s a step away from ordinary……..more like a leap. It’s a taste you will have to try to believe just how good it is! 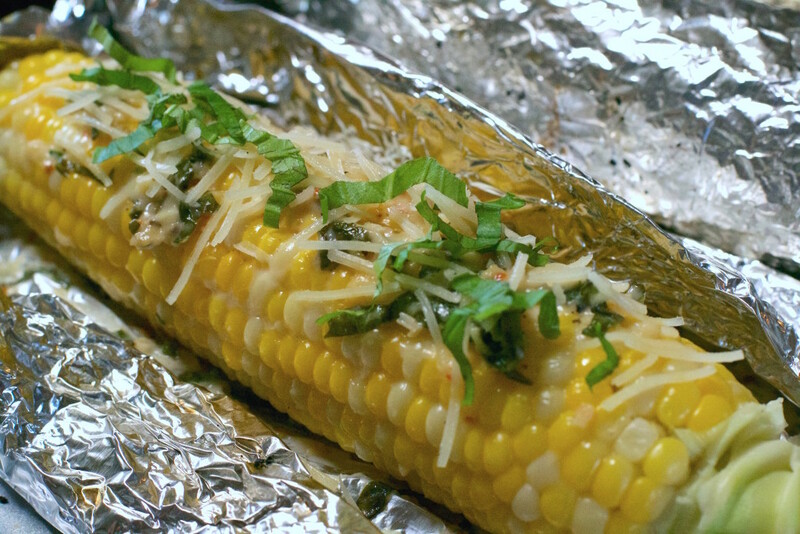 If you’re a fan of Italian cuisine, this is right up your alley, if you love sweet corn , it’s right up your alley, if you like to grill…..you guessed it ….right up your alley. I like that you can prepare this dish ahead and have it ready to go to the grill. It only takes about 10-15 minutes, so you can time another dish accordingly. It’s super simple to assemble…just mix Miracle Whip (mayo if you must), parmesan cheese, Italian seasoning, and fresh basil. Throw in a touch salt, and mix. You will need tin foil for wrapping. 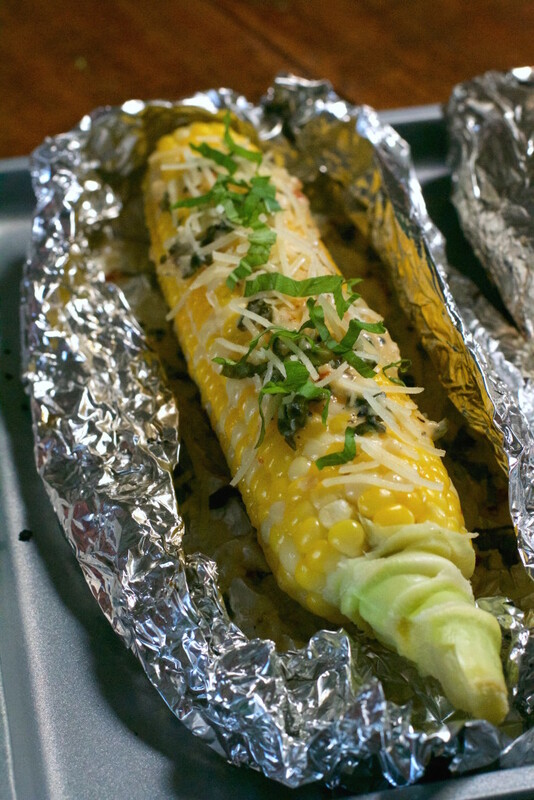 Last, an ear of corn on a sheet of foil, then slather on the mixture. Roll up the ears tight, sealing the ends. Toss them on the grill, turning about every three or four minutes, for a total time of 10-15 minutes. 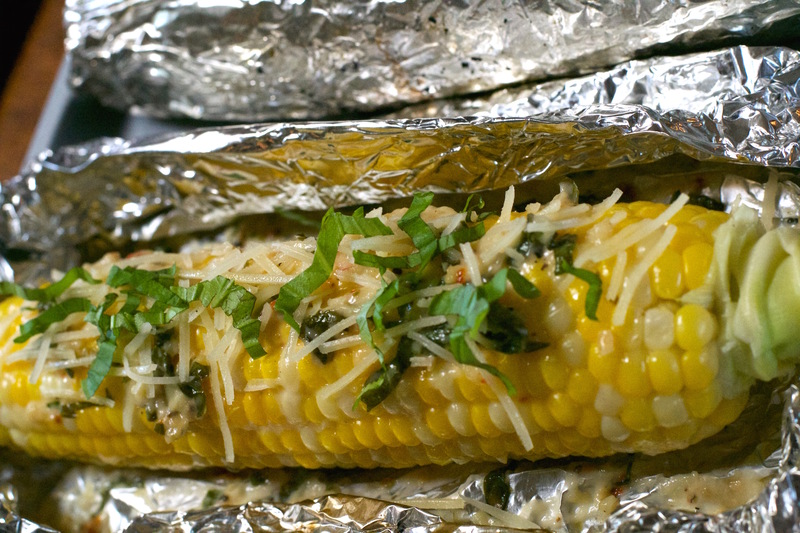 Let the corn set for a few minutes once it is off the grill. Unwrap and behold the gems of beauty you have created, serve with additional parmesan if you wish. I use a spoon to scrape all the creamy goodness I can from the foil, so I can enjoy every delicious drop. 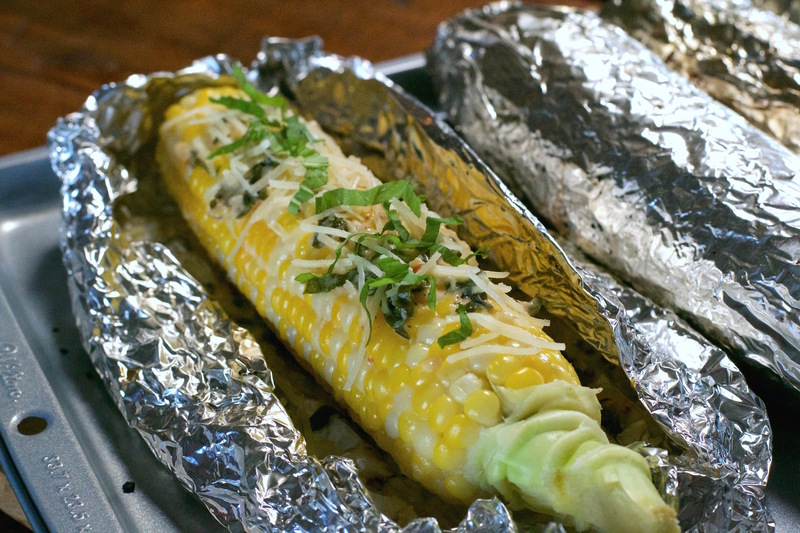 So, grab yourself the best sweet corn you can find, fire up the charcoal, and grill up some Italian Corn on the Cob………It’s what summer is all about!!! together. Smear mixture on the corn. 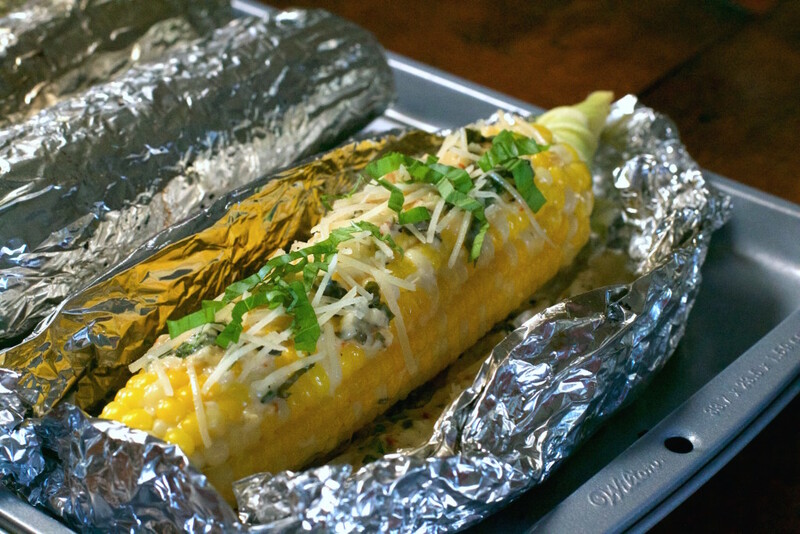 Allow corn to rest for a couple of minutes, then unwrap. Garnish with additional cheese, if desired.